We have them in English, too — they're the helping verbs that put conditions on verbs other than tense. "May" suggests permission; "can" suggests ability; "should," obligation; "must," duty or requirement. In German, there are seven: dürfen (may), können (can), sollen (should, or supposed to), wollen (want to), mögen (like to), möchten (would like to), and müssen (must). In English, they usually come right before the action verb in a sentence. Here's an example: "Bob can't believe what just happened." The action verb is "happened." The modal verb is "can." 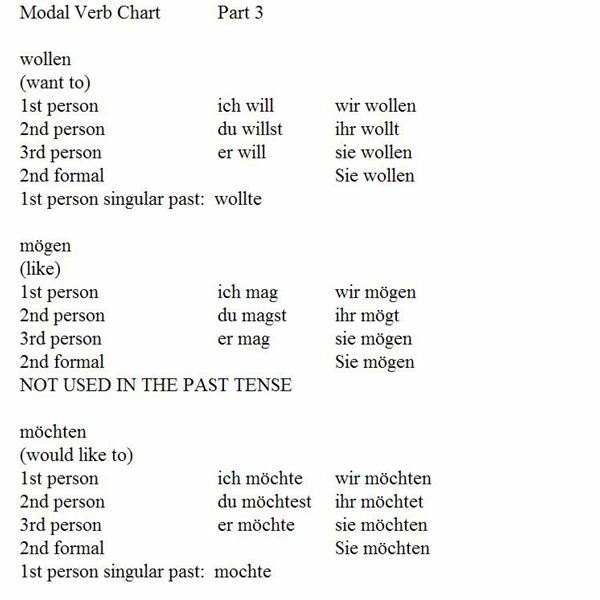 In German, though, modals work just like "werden" in the future tense: they send the action verb to the end of the sentence. Let's look at this English sentence: "She can go to the movies today." Here's how that would look in German: "Sie kann heute ins Kino gehen." Here's a look at how all seven modal verbs are conjugated in the present tense. 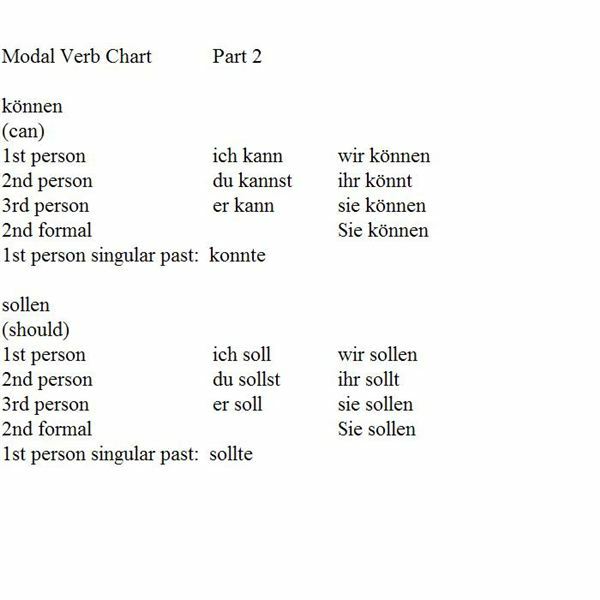 Please download the Modal Verbs Chart from the Media Gallary in the Language Learning channel. ich wollte, du wolltest, er wollte, wir wollten, ihr wolltet, sie wollten, Sie wollten. 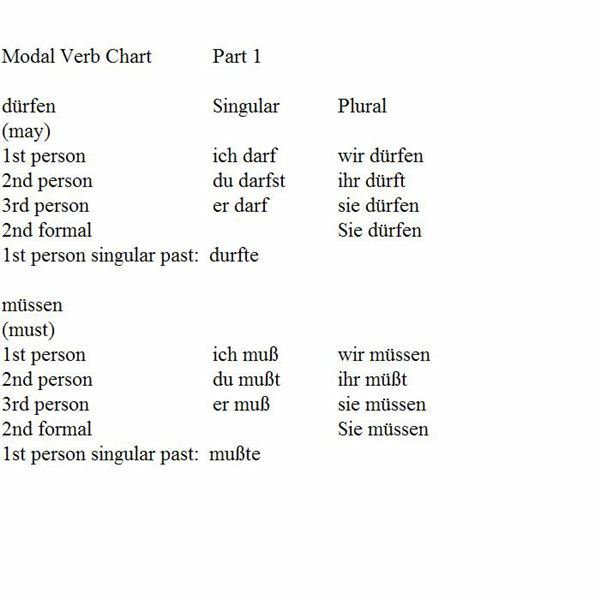 Once you know the first person past tense form for each modal, you know how to conjugate the whole tense, because all seven verbs take the same endings. "We will have to stay for three hours." In German, here's how that would look: "Wir werden auf drei Stunden bleiben müssen." So the action verb becomes the next-to-last word, followed by the modal infinitive (bleiben means "to stay").